Every year at the beginning of our state legislative session, MSOTA holds Legislative Appreciation Day; it is an opportunity to nurture a valuable relationship with our local legislators and increase awareness of occupational therapy as an integral profession that provides essential services in the fields of medicine, mental health, and education. Who is invited? All OT/OTA therapists in our state and OT/OTA students and faculty are invited to attend! It’s a great networking experience for all. It would be great to increase attendance from more practitioners. You’re free to invite your colleagues! How long should we stay? This is a come and go event from 7:30 – 11:30am. Drop by before work or take an early lunch! There’s no need for registration. We like to know who we are expecting from the board and which schools are coming. Find out your voting district and the names of your elected officials. You will have one in the House of Representatives and one in the Senate. 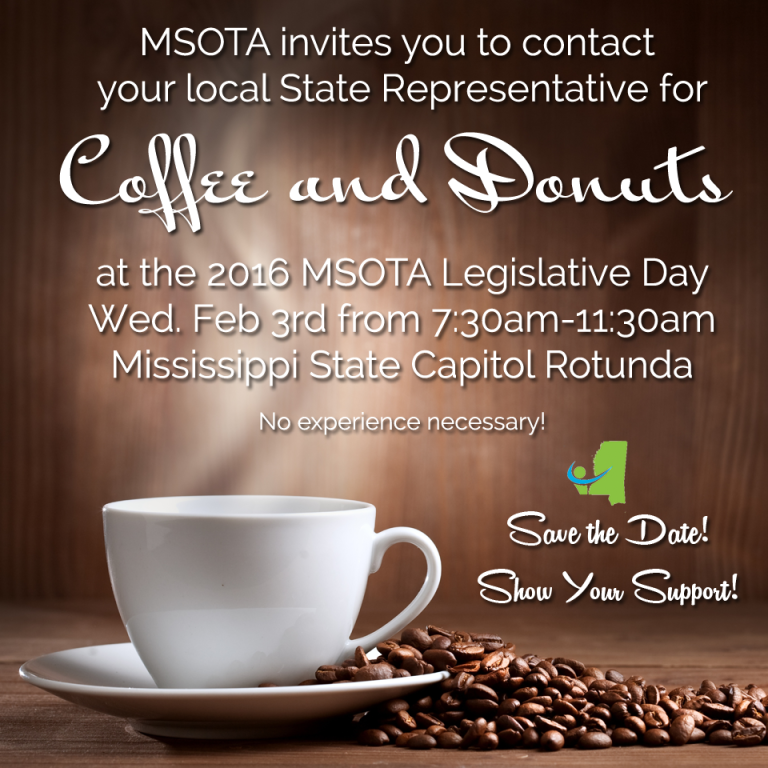 Give them a call 3-5 days before the event to invite them to meet you in the Rotunda. Introduce yourself. We’ll have handouts for you to give out. Tell them about yourself, where you work and how much you love occupational therapy. Thank them for their service. It’s not intimidating at all. They’ll be glad to come shake your hand!